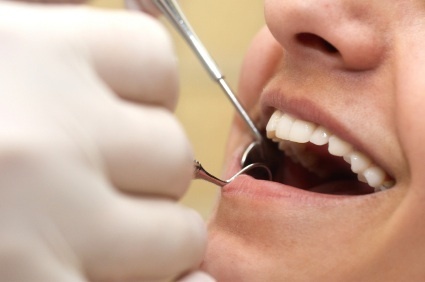 The cheery dental assistant asked me how I’d be spending the weekend. “I’ll be gathering with other members of the local Krishna community for a big festival,” I told her. Apparently, my Hare Krishna haircut didn’t mean anything to her. “You’ve never heard of Hare Krishna?” I asked. And that’s as far was we got before the dentist’s drill found my mouth and ended our conversation. I was surprised that someone living in an area that’s home to hundreds of Hare Krishna devotees had never heard of Krishna. But I was happy to introduce her to Him. Pondering the qualities the lecturer had mentioned, I balked momentarily at the idea that Krishna possesses unlimited fame. Two days earlier I’d never heard of Him. How could He be the most famous person? I asked someone about that later. Their dedication inspired me to dive into Srila Prabhupada’s books. And only a few weeks later I was blessed to see Srila Prabhupada himself at the San Francisco Rathayatra festival. That day I started wearing Vaishnava neck beads—an outward sign of my growing conviction that Krishna is God. Seeing Prabhupada and reading his books helped me understand the depth of faith shown by his disciples. Srila Prabhupada’s conviction, clearly derived from experiences higher than any I could imagine, was contagious. His day was spent in full absorption in Krishna, in thought, word, and deed. And his books contained none of the hedging found in pretty much everything else I’d read. Now I’m trying to do my small part to help Srila Prabhupada spread the name and fame of Lord Krishna. In 1966 in New York City when His Divine Grace A.C. Bhaktivedanta Swami Prabhupada was founding the Hare Krishna movement, a friend suggested he call it the “International Society for God Consciousness.” But Srila Prabhupada felt that the word God was too vague. By naming his movement the “International Society for Krishna Consciousness,” Srila Prabhupada was telling everyone that when he spoke of God he meant a specific person—Krishna. To convince Westerners that Krishna is God, Srila Prabhupada had to refute a variety of misconceptions: There is no God; we are all God; God is impersonal; God is love; God is dead. Or, God is a person, but He can’t be Krishna, who is, after all, either an Indian folk hero or one of the mythological Hindu gods. Despite facing such an array of ideas, Srila Prabhupada was confident of the power of the Vedic literature to convince people of the existence and identity of God. On the premise that God is unlimited, Srila Prabhupada ruled out philosophical speculation as an adequate means of understanding God. God is beyond our present powers of perception. If we want to know God, therefore, we must hear from God Himself. His revelations about Himself are recorded in the world’s scriptures. The most elaborate exposition of God can be found in the Vedic literature, and the cream of the Vedic literature is Srimad-Bhagavatam. Because Srila Prabhupada wanted to deliver convincing information about God, he had begun translating the Srimad- Bhagavatam from Sanskrit into English even before coming to the United States. Although the vast library of Vedic literature deals with a variety of subjects directly or indirectly related to God, the Bhagavatam deals exclusively with the science of God and the method by which to understand Him. The Bhagavatam is scientific and does not demand blind faith. It presents not only an exhaustive analysis of God, but also the method for realizing Him. In the second verse the author, Srila Vyasa-deva, declares that God will reveal Himself within the heart of the serious student of the Srimad-Bhagavatam. And throughout the Bhagavatam Vyasadeva has verified his claim by recording the histories of great saints who have realized God by the method prescribed in the Bhagavatam. The Sanskrit word ishvara (controller) conveys the import of God, but the Supreme Person is called the parameshvara, or the supreme ishvara. The Supreme Person, or parameshvara, is the supreme conscious personality, and because He does not derive any power from any other source. He is supremely independent. In summary then, God is the supreme person and the supreme controller, and He is completely independent. The Bhagavatam also describes God as Bhagavan, the possessor of all opulences, chief of which is His unlimited beauty. The reservoir of that beauty is His eternal, transcendental body, composed of unlimited knowledge and bliss. These elaborations on the word God from the Srimad-Bhagavatam at once solve many philosophical problems. They especially help us evaluate the validity of various impersonal conceptions of God. For example, because God means the supreme controller. He must be a person. He cannot be impersonal, like a white light or a quality or an idea. An impersonal energy, a “white light,” cannot control the creation or any part of it, since control must be ultimately exerted by a controller, a person. The “white light” is in fact a subordinate aspect of God known as the brahmajyoti, or the impersonal Brahman. Although many people accept Brahman to be the highest manifestation of God, the Bhagavatam repeatedly declares that the Supreme Absolute Truth is the Supreme Personality of Godhead, Sri Krishna. The Bhagavatam also states that those who think they have attained ultimate liberation by merging with Brahman are not mature in their realization and must eventually fall again to the material world. Only devotees of the supreme controller, Krishna, can attain complete liberation. Believing that God is a quality, like love or beauty, is also impersonalism. Being the supreme person, Krishna possesses these qualities in full, but such qualities are not the complete expression of God. They are but aspects of His personality. Nor is God simply an idea. He is the supreme controller, the person who directs the workings of the universe. He must possess intelligence, discrimination, determination, and all the other qualities that make a person an expert manager. He is the best manager. As the elaborate workings of the universe testify. God is a living, supremely intelligent person. The atheist, of course, denies the existence of a universal controller. In his opinion the universe simply operates under a set of complex laws that do not warrant the supervision of any person. But this is contrary to common sense: Laws are made by persons. And behind every complex system within our experience we find a person. For example, the traffic in a large city flows smoothly (ideally) because of a complex system of traffic signals. A child may think the traffic lights operate independently, but an adult knows about the city government behind those traffic signals. And the city government is made of people, headed ultimately by one person. All complex systems trace back to a person. Experience leads us to assume that the extremely complex workings of the universe are controlled by a person. That person is also controlling us. Those who deny the existence of the supreme controller cannot even prove that they themselves are free of His control. By advances in science and technology they may feel that they can ultimately control nature, but such hopes are unfounded. The unconquerable forces of old age, disease, and death are intrinsic to this material world and are dispensed by the justice department of the Supreme Personality of Godhead. The atheist, despite his denial of God, will undeniably witness God’s control at death. Though atheists may hear many reasonable arguments for the existence of God, they stubbornly hold to their belief that God does not exist. They sometimes demand, “Show me God.” But if they want a direct experience of God, they must avail themselves of the proper method of obtaining that experience. The uninformed and unfounded claims of the atheists cannot influence the devotees of God, who have experienced God by dint of their adherence to godly principles. Despite atheistic propaganda, most people still “believe” in God. Unfortunately, they often reject Krishna as God, owing to incomplete knowledge about Him. But if someone is serious about knowing God, then he or she will be eager to hear about Krishna. Give Krishna a chance. Check His credentials. Some people reject Krishna as God because of their misunderstanding that the Vedic religion of India, now known as Hinduism, propounds the worship of many gods, one of them being Krishna. The Vedic religion, however, is not polytheistic. If we study the Vedic literature closely, we find that Krishna is always declared to be the Supreme Personality of Godhead. After listing many incarnations of God, the Srimad- Bhagavatam states that Krishna is the origin of all incarnations and that He alone is the Supreme God (krishnas tu bhagavan svayam). The Brahma-samhita (5.1) states, “Krishna, who is known as Govinda, is the supreme controller. He has an eternal, blissful, spiritual body. He is the origin of all. 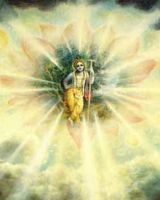 He has no other origin, for He is the prime cause of all causes.” Krishna is described here as the original controller. His position is unique: There can be only one original controller, and He is God. But Krishna does not have to personally supervise the workings of the universe. He has subordinate controllers (demigods) whom He empowers to run various functions of universal affairs. Modern man ridicules the so-called primitive practice of worshiping a powerful aspect of material nature as if it has personal qualities. The Vedic literature, however, explains that empowered individuals known as demigods control all material phenomena. Just because we cannot see these powerful controllers doesn’t mean they don’t exist. We can reasonably infer their existence after studying the intricacies of material nature. The Vedic literature describes the demigods elaborately, Srila Vyasadeva’s rigorous presentation of the science of God is serious and scholarly. And he describes the demigods as real persons, not as mythological characters. The demigods control the departments of universal management. Indra controls the rain, Vayu controls the air, Varuna the water, Vivasvan the sun, and so on. Although from our point of view these demigods are extremely powerful, they are nonetheless subordinate to Krishna. All living beings are spiritual, but they belong to two different categories. In one category there exist the unlimited Supreme Personality of Godhead, Lord Krishna, and His personal expansions. In the other category are all other living entities, the innumerable infinitesimal souls. Although Lord Krishna can expand Himself into unlimited forms that possess His full potency, the demigods are not such expansions. Rather, the demigods belong to the category of the infinitesimal living entities, called jivas. The jivas may possess material bodies—like those of the demigods, for example—but Krishna’s body is always transcendental. Pleased with their devotion and good qualities. Lord Krishna assigns the demigods to responsible posts in His universal government. No matter how powerful a demigod may be, however, Krishna is ultimately in control. Despite hundreds of direct statements throughout the Vedic literature that Krishna is the Supreme Personality of Godhead and the Absolute Truth, some people (who profess to be followers of the Vedic literature) still contend that ultimately Krishna is not a person. They may even say that Krishna is God, but they really mean that Krishna is an incarnation of the impersonal Brahman, which they say is the ultimate truth. Krishna has realized His identity with the impersonal Brahman, they say, so now He is God. And we too can “become God” through meditation and philosophical speculation. We are all God, they say; we just have to realize it. 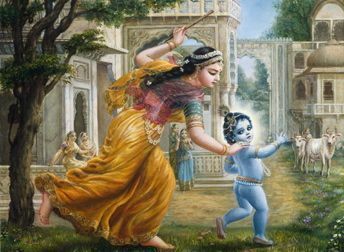 They say that when Krishna speaks in the Bhagavad-gita about surrender to Him,He is actually telling us to surrender to “the unborn” within Him. For them, the “unborn” is greater than Krishna. And God never forgets His identity. Because He is the source of all energies, He never falls under illusion like ordinary jivas. If we were God we would not be bewildered by God’s illusory energy—and we wouldn’t be struggling to become God. God is always God. He doesn’t need to do anything to realize that eternal truth.